Rita Benzoni was born to Ravenna in 1964. She attended the Artistic school end she graduated in Decoration at the Arts Academy of her city. Started its service by participating in the restoration of the mosaic floor in the Cathedral of Otranto and continue as a mosaicist and designer of modern art mosaic. 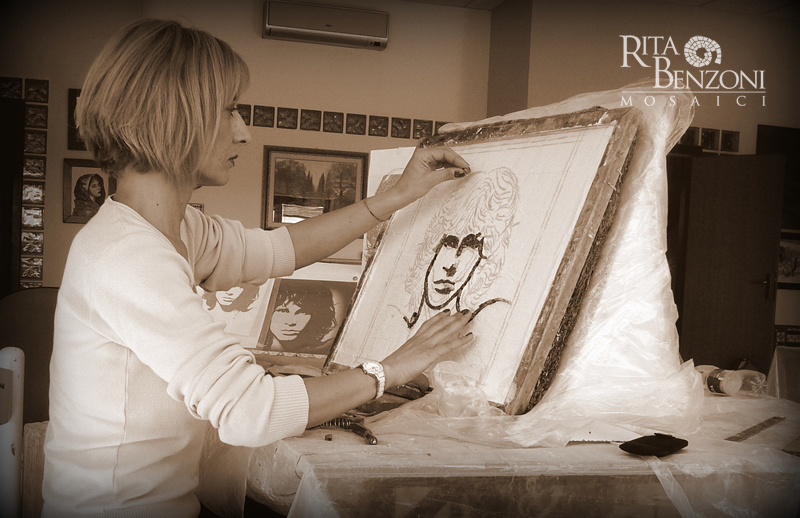 She has collaborated with the Consorzio Veneto restoration and exhibited her works in many group shows and personal exhitition. In 2012 she had a stint as a writer by publishing the book: “Niggers…? Black…? Of color…? Of complexion!!!”. Now she lives and works between the Romagna and the Veneto where is the artistic workshop. Rita Hayworth “Love, pain, passion”.